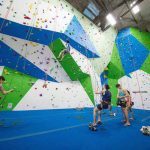 Basecamp Climbing is Toronto’s most centrally located rock-climbing gym, directly across from Christie subway station. 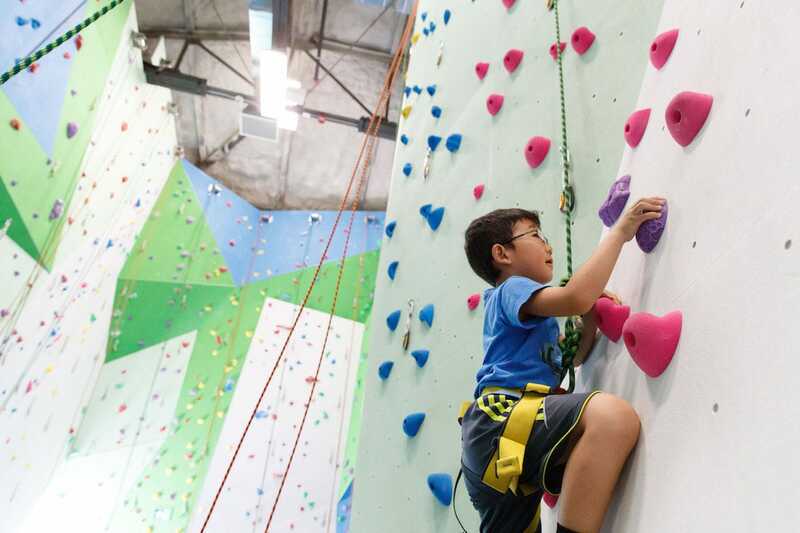 It has more than 7,000 square feet of climbing surface with more than 100 different climbing routes for you to try. 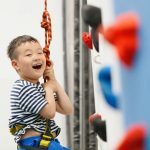 Auto belays and equipment rentals are available. 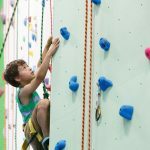 It has drop-in ropes climbing and registered classes for kids and adults, plus camps, after-school programs, and birthday parties. 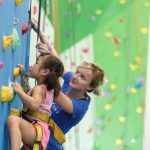 Drop-in climbing is for ages 4 and up; classes and camps are for ages 6 and up. 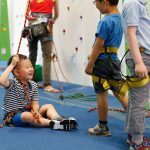 After-school classes are divided by age and by skill level: Introductory Explorers class for ages 6–9, Trailblazers for ages 10 and up, Voyagers for ages 12 and up, and a special High-Performance class for advanced climbers ages 10 and up. 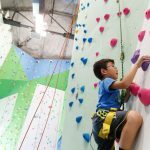 For newbies to climbing, there’s also a two-hour Kids’ Climb experience: parents drop off kids for two hours of climbing with an instructor, where they learn basic climbing techniques. 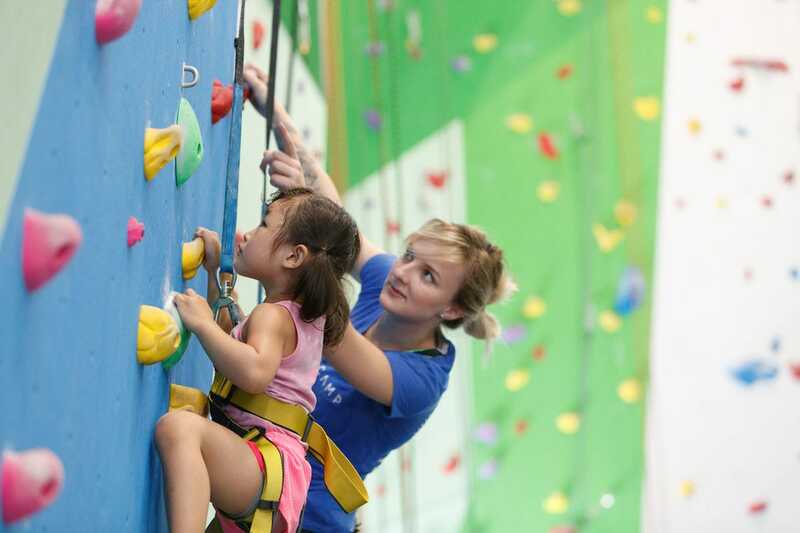 Day camps include summer camps, March break, winter break, and PA days. 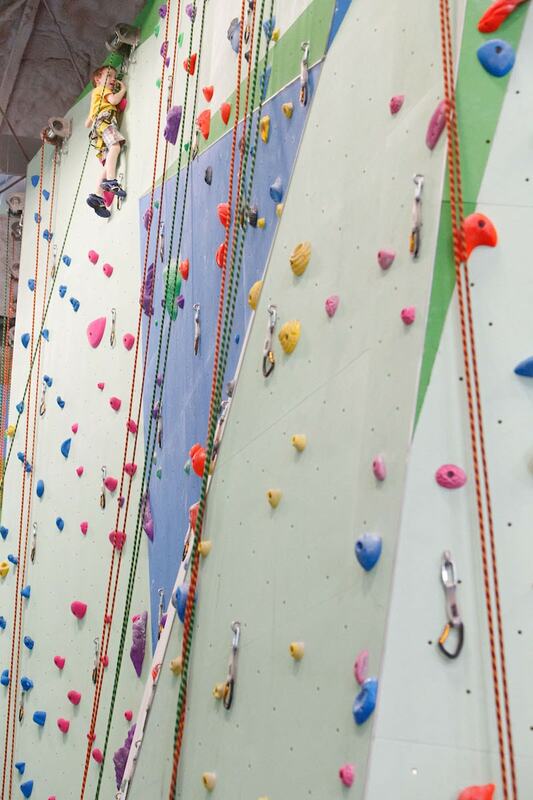 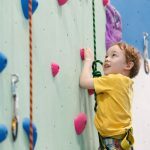 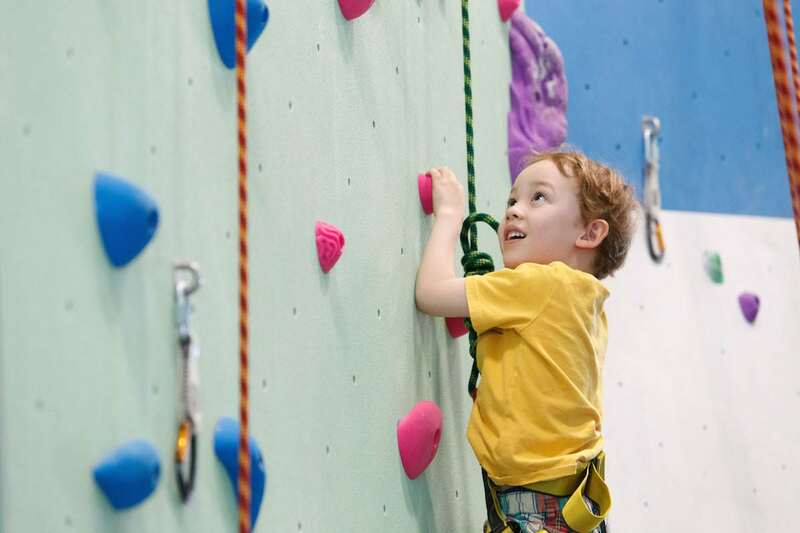 Kids ages 6 and up can take part in fun camps that combine climbing and bouldering lessons with games, lessons, crafts, swimming (summer only), and outdoor activities. 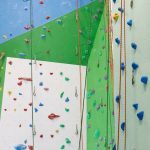 Before and after care are available. 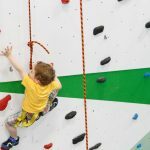 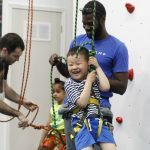 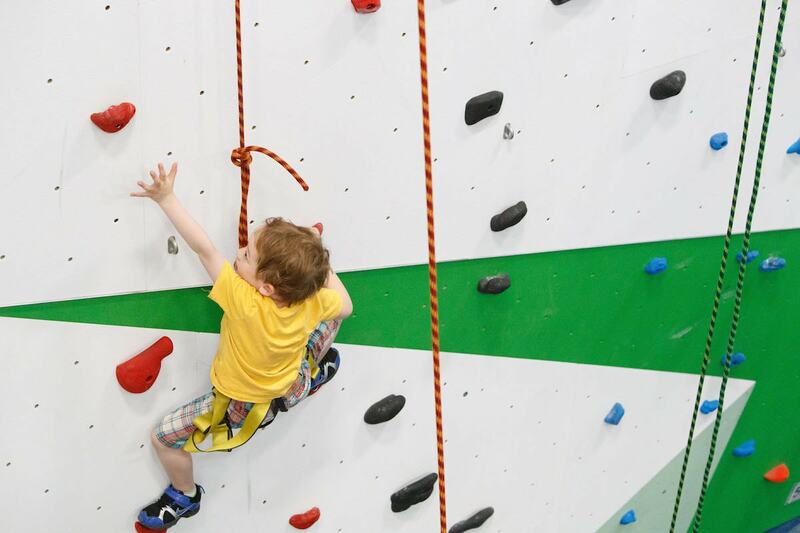 Book an exciting climbing adventure birthday party! 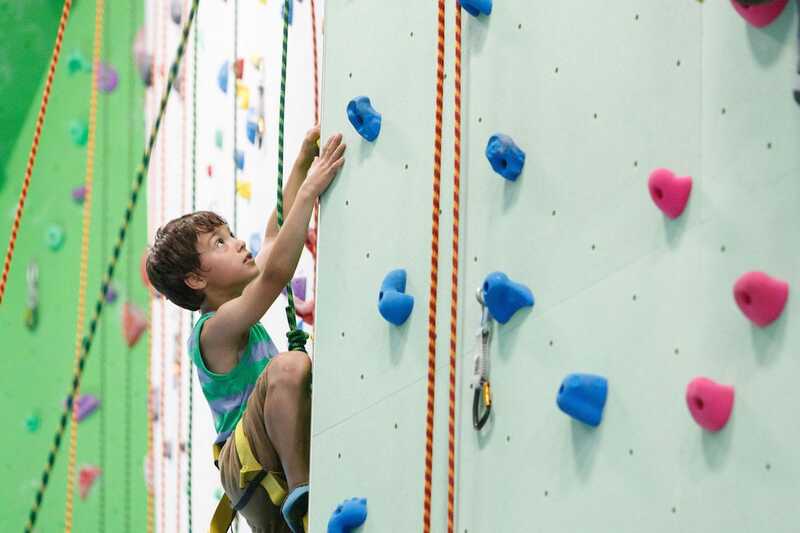 Each party package includes one instructor for every five kids, with 1½ hours of climbing. 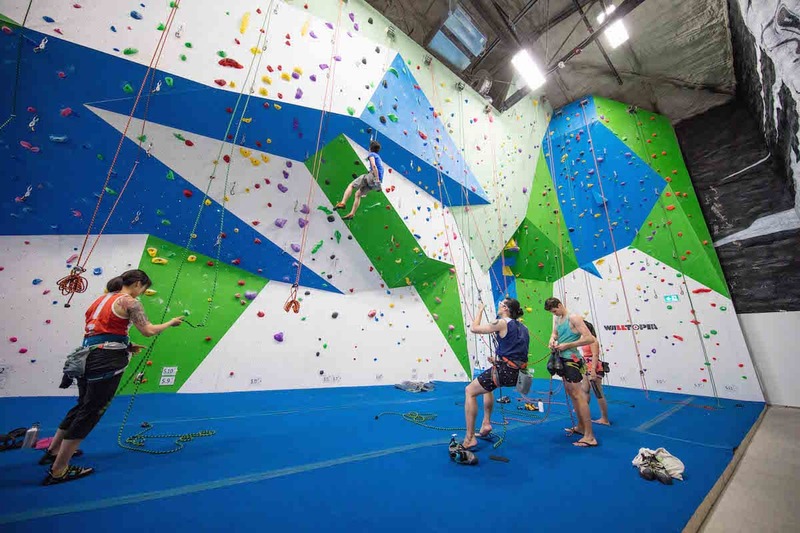 Afterward, they enjoy a 45-minute celebration in the private party space. 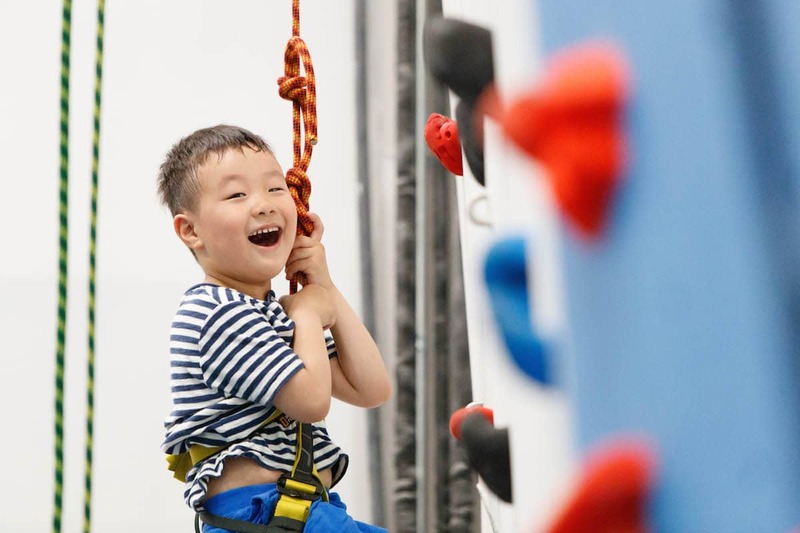 Parties are for ages 5 and up. 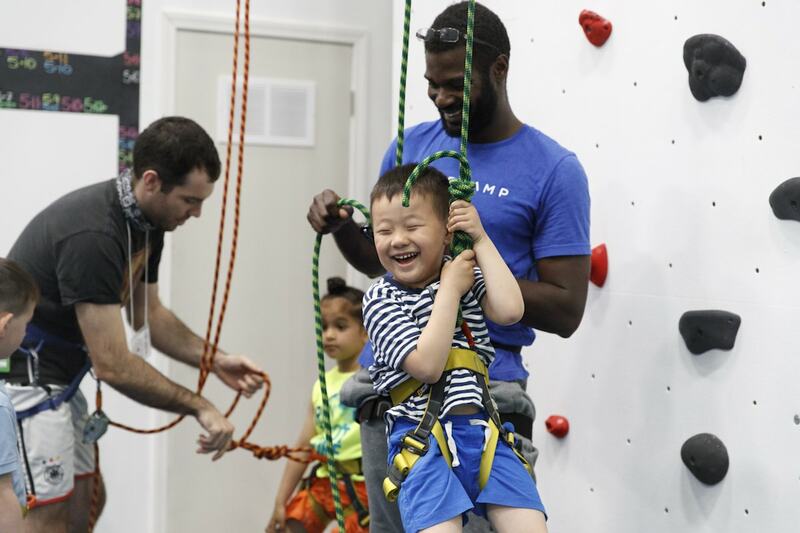 Book a high-energy, active field trip for your school or camp group. 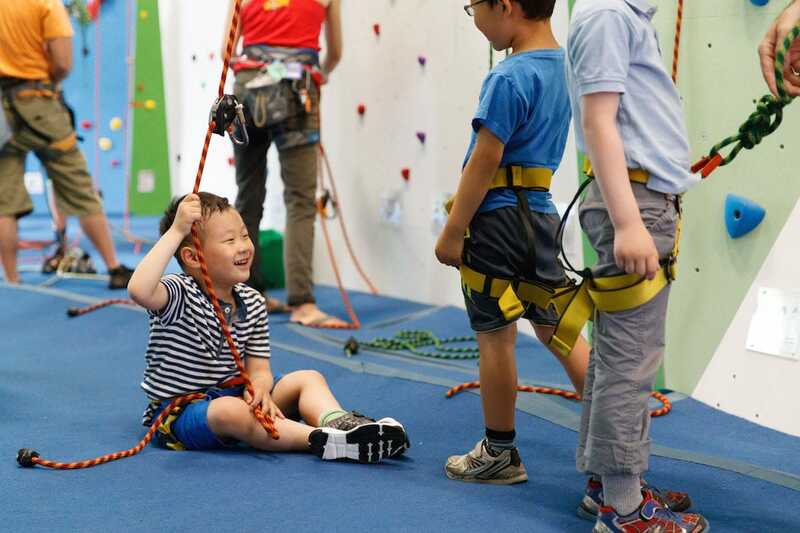 Rock climbing is a great way to boost self-esteem and develop coordination, problem-solving, and leadership skills. 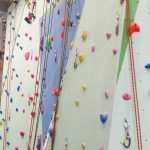 All equipment is included for each 2-hour instructor-led session.